Hwboehm created T220984: Visualeditor/Parsoid in Internet Explorer scrambles Texts. Hwboehm committed rEBUA7e7080b2958a: [WIP] Add Styling to TableCells in VE (authored by Hwboehm). Hwboehm committed rEBUA9691c21f9282: Add Table Inspectors (authored by Hwboehm). Hwboehm committed rEBSNe5f7a613f13f: Fix User Interface (authored by Hwboehm). Hwboehm added a comment to T220471: LDAPGroups and LDAPUserInfo: UserLoggedIn hook not frequent enough. Hwboehm committed rEBSN80557c6c91fd: Fix User Interface (authored by Hwboehm). Hwboehm committed rEBSNdc25941708c9: [WIP] Fix User Interface (authored by Hwboehm). Hwboehm committed rEBSNdce827373617: [WIP] Fix User Interface (authored by Hwboehm). Hwboehm committed rEBUA95e6a58a5830: [WIP] JS Unit Tests (authored by Hwboehm). Hwboehm committed rEBSN68a9ea075676: Fix User Interface (authored by Hwboehm). Hwboehm committed rEBUA7cf2d2d79d51: Enable Pasting of Text with embedded Links (authored by Hwboehm). Hwboehm committed rEBUAff6cdf6d2773: Enable Pasting of Text with embedded Links (authored by Hwboehm). Hwboehm committed rEBTIb84cbe1251d0: Refactoring for BS3 (authored by Hwboehm). Mill <mill@mail.com> committed rEBSMf58695e1daef: ipaaaaaaaaaaaa (authored by Hwboehm). Mill <mill@mail.com> committed rEBSK8ec00b6723f8: !caaaaaaaaaaaa (authored by Hwboehm). Hwboehm committed rEBSK4d601a61d93f: Cleanup Extension (authored by Hwboehm). Hwboehm committed rEBSU52b6a6a8d4ca: Cleanup UserManager (authored by Hwboehm). Hwboehm committed rEBTG292e234054bc: Use limit to reduce query time (authored by Pwirth). Mill <mill@mail.com> committed rEBTM5a6c35f9d2d7: 3)aaaaaaaaaaaa (authored by Hwboehm). Mill <mill@mail.com> committed rEBSLf82b009f9f3d: ocaaaaaaaaaaaa (authored by Hwboehm). Hwboehm committed rEBSL4183a6d519b0: Cleanup Extension (authored by Hwboehm). Mill <mill@mail.com> committed rMSBC0416ab7a41d4: %5etaaaaaaaaaaaa (authored by Hwboehm). Mill <mill@mail.com> committed rEBUA7dcff0f5e715: yoaaaaaaaaaaaa (authored by Hwboehm). Mill <mill@mail.com> committed rEBTI68ba28203d3e: 2oaaaaaaaaaaaa (authored by Hwboehm). Hwboehm committed rEBSKc41ae54e2435: Cleanup Extension (authored by Hwboehm). Hwboehm committed rEBSLfa0479e9f88e: Cleanup Extension (authored by Hwboehm). Hwboehm committed rEBSLc5d62b6fe56e: Cleanup Extension (authored by Hwboehm). Hwboehm committed rEBSLffa873722574: Cleanup Extension (authored by Hwboehm). Hwboehm committed rEBSLb78eee1a48e3: Cleanup Extension (authored by Hwboehm). Hwboehm committed rEBTI8647edb314f1: Refactoring for BS3 (authored by Hwboehm). Hwboehm committed rEBTF5234e7a5d8b1: Code Cleanup Refactoring for BSP3 (authored by Hwboehm). Hwboehm committed rEBSKd969ea77f454: Cleanup Extension (authored by Hwboehm). Hwboehm committed rEBTFf72dd4012151: Code Cleanup (authored by Hwboehm). Hwboehm committed rEBSKb96b464b6d35: Cleanup Extension (authored by Hwboehm). Hwboehm committed rEBSK2d94c1156385: Cleanup Extension (authored by Hwboehm). Hwboehm committed rEBSK3710245f8180: Cleanup Extension (authored by Hwboehm). Hwboehm committed rEBSLc72cba1514f5: Cleanup Extension (authored by Hwboehm). Hwboehm committed rEBSL6f10c45c4eee: Cleanup Extension (authored by Hwboehm). Hwboehm committed rEBSKd123e8426b92: Cleanup Extension (authored by Hwboehm). Hwboehm committed rEBSSMWCdb4b19ce1377: Save memory and clear-up afterwards (authored by Dejan Savuljesku <d.savuljesku@gmail.com>). Hwboehm committed rEBSNe8c6e7f7970a: Fix namespace manager jumps back to initial settings when opcache is enabled (authored by Pwirth). Hwboehm committed rEBSI364c99536a01: Fix exception caused by using non existing config. ERM:14391 (authored by Pwirth). Hwboehm committed rEBTS0a4050317816: Remove User Preferences (authored by Hwboehm). Hwboehm committed rEBTS6e7fc18b4dc3: Remove User Preferences (authored by Hwboehm). Hwboehm committed rEBTF854f65439a57: [WIP] Code Cleanup (authored by Hwboehm). Hwboehm committed rEBTS1a66916a16d7: Remove User Preferences (authored by Hwboehm). Hwboehm committed rEBSSMWC73d617b2ac7f: Add Extension.php to Extension (authored by Hwboehm). Hwboehm committed rEBSSMWC5dd667a41199: Add Extension.php to Extension (authored by Hwboehm). Hwboehm committed rEBSSMWCa75e884de95f: Add Extension.php to Extension (authored by Hwboehm). Hwboehm committed rEBUA47b063f58adf: Add Table Inspectors (authored by Hwboehm). Hwboehm committed rEBUA0317a5086b91: Add Table Inspectors (authored by Hwboehm). Hwboehm committed rEBUA300b2729dd1e: Add Table Inspectors (authored by Hwboehm). Hwboehm committed rEBUAc338ab7ddf50: Add Table Inspectors (authored by Hwboehm). Hwboehm committed rEBTM2162b6903121: Add Cancel Button to VE avanced search (authored by Hwboehm). Hwboehm committed rEBUA749e9e188311: Add Table Inspectors (authored by Hwboehm). Hwboehm committed rEBUA7bcd14f99743: Add Table Inspectors (authored by Hwboehm). Hwboehm committed rEBUA15421ee0f670: Add Table Inspectors (authored by Hwboehm). Hwboehm committed rEBUA6be63aaffd43: Add Table Inspectors (authored by Hwboehm). Hwboehm committed rEBSMd01f90eabd04: New Action: Move a Category (authored by Hwboehm). Hwboehm committed rEBTB739f16f95278: Expansion of Contextmenu (authored by Hwboehm). Hwboehm committed rEBTB0ebb68fdb9a2: Expansion of Contextmenu (authored by Hwboehm). Hwboehm committed rEBTQ9740c6740faa: Refactoring of PageAcess extension (authored by Hwboehm). Hwboehm committed rEBTQ4b579d433304: Refactoring of PageAcess extension (authored by Hwboehm). Hwboehm committed rEBTQ7fd7dc828c2a: Refactoring of PageAcess extension (authored by Hwboehm). Hwboehm committed rEBTQ6757da7b345d: Refactoring of PageAcess extension (authored by Hwboehm). Hwboehm committed rEBTHb61b41134bbb: Remove User Preferences (authored by Hwboehm). Hwboehm committed rEBTG1f4a76c0d18d: Remove User Preferences (authored by Hwboehm). Hwboehm committed rEBTN6e16beaf2c03: Move User Preferences to Config Variable (authored by Hwboehm). Hwboehm committed rEBTN58f508c78a5a: Move User Preferences to Config Variable (authored by Hwboehm). Hwboehm committed rEBTS2a1da69fdf3b: Remove User Preferences (authored by Hwboehm). Hwboehm committed rEBTI6136c171c16a: Remove User Preferences (authored by Hwboehm). Hwboehm committed rEBTHd496380af695: Remove User Preferences (authored by Hwboehm). Hwboehm committed rEBTD74c66fee5002: Move User Preferences to better Location (authored by Hwboehm). Hwboehm committed rEBTBe8116c89ecf7: Move User Preferences to better Location (authored by Hwboehm). Hwboehm committed rEBTG04c755c5b326: Remove User Preferences (authored by Hwboehm). Hwboehm committed rEBTQ1f5b0f674393: Refactoring of PageAcess extension (authored by Hwboehm). Hwboehm committed rEBTG750525a1bdda: Remove User Preferences (authored by Hwboehm). Hwboehm committed rEBTN4b4993084aa8: Move User Preferences to Config Variable (authored by Hwboehm). Hwboehm committed rEBTId84626623f8c: Remove User Preferences (authored by Hwboehm). Hwboehm committed rEBTI016df82faa3b: Remove User Preferences (authored by Hwboehm). Hwboehm committed rEBTS616b9e7aac42: Remove User Preferences (authored by Hwboehm). Hwboehm committed rEBTHe57b7fc1c98a: Remove User Preferences (authored by Hwboehm). Hwboehm committed rEBTDd3c156a64894: Move User Preferences to better Location (authored by Hwboehm). Hwboehm committed rEBTBd2c501cf05a2: Move User Preferences to better Location (authored by Hwboehm). 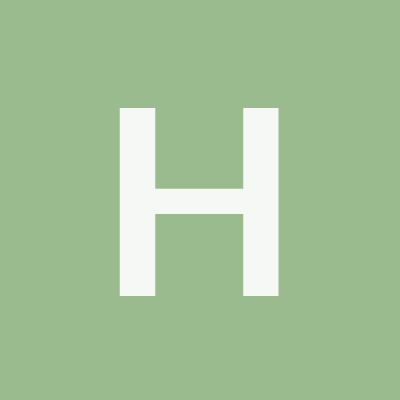 Hwboehm committed rEBTQ82fbdd156fb2: Refactoring of PageAcess extension (authored by Hwboehm). Hwboehm committed rEBTQ22908d71519f: Refactoring of PageAcess extension (authored by Hwboehm). Hwboehm committed rMSBC72aa26e9c851: Enable FeatureActions if User can Edit (authored by Hwboehm). Hwboehm committed rMSBC88a2c43082c6: Enable FeatureActions if User can Edit (authored by Hwboehm). Hwboehm committed rEBTQ973865ba3b7b: Refactoring of PageAcess extension (authored by Hwboehm). Hwboehm committed rEBTQ6532934f888e: Refactoring of PageAcess extension (authored by Hwboehm). Hwboehm committed rEBTBc5de6036ef5f: Expansion of Contextmenu (authored by Hwboehm). Hwboehm committed rEBTQ8e1234ab7411: Refactoring of PageAcess extension (authored by Hwboehm). Hwboehm committed rEBSJ8879483984da: Make Treepanel for Groups ajustable in width (authored by Hwboehm). Hwboehm committed rMSBC0753c557926c: Add a styleclass for full width tables (authored by Hwboehm). Hwboehm committed rEBUA94135a0a55b4: Add Table Inspectors (authored by Hwboehm). Hwboehm committed rEBTS1f14c92c2ffc: Remove unused messages (authored by Hwboehm). Hwboehm committed rEBTSfbb8a8f1f3ea: Remove unused messages, clarify qqq (authored by Hwboehm). Hwboehm committed rMSBCaecbd65f5a20: Refactoring: replace 'classes' with 'icon-class' (authored by Hwboehm). Hwboehm committed rEBSJ04a7792747e0: Remove unused messages (authored by Hwboehm). Hwboehm committed rEBSJ6ec5d17a57ba: Pretty Errormessage (authored by Hwboehm).